Health Canada has reportedly started reviewing the safety of BBQ brushes in the country. Nine injuries that have claimed to be linked to the brushes have been reported to the health agency since 2011. 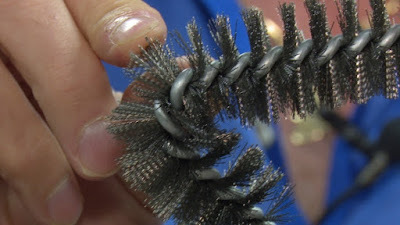 It is said that especially with the metal bristles brushes, the bristles can fall off and then get stuck in the food and well obviously whoever's eating it will get bristles going down their throat. This can lead to them having to end up making a trip to the hospital. Health Canada has reportedly advised people to throw away the brushes is the bristles are loose. According to the health agency, they're reviewing the safety concern for the brushes and are trying to see if the brushes are in need for some form of regulatory actions if they are deemed in need of it. Even one Alberta mother had to bring her son of four years of age to the hospital because one of the bristles ended up lodged in the kid's throat. This incident happened in Whitecourt Alberta. “He started to cry really loudly and hysterically that he had something in his throat,” Jenna Kuchik said. “He said, ‘Get it out. It hurts." She continued. Situations like these are dangerous for anyone because you don't really know when a bristle breaks off. We spoke to Michael Parniak who said: " The brushes with the metal bristles should be taken off the market."